Casreli is a small wine farm from Georgia. A project of five befriended medical doctors. They know each other from they studied medicine in Tiblisi. They make orange natural wines and had instant international success. Together the friends invested in vineyards near the village of Vachnadziani in the Georgian 'wine province' Kakheti. Recently they built a new wine cellar. The vineyards have been planted with typical Georgian varieties: Kisi, Rkatsiteli, Khikhvi, Mtsvivani Kachuri and Tetri Chitistvala. The Mtsvivani Kachuri is rare, the Tetri Chitistvala is even more so. As far as we know Casreli are the only winery who make a wine from it. 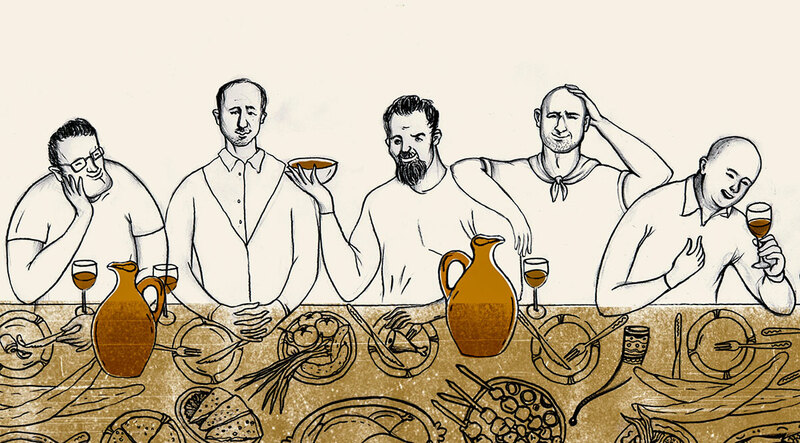 The men of Casreli make natural wines according to the traditional Georgian method. They work organically in the vineyard. All wines ferment and mature in qvevri's (clay pots). They are bottled unfiltered and without additives. In 2017 and 2018, Casreli won gold and silver medals with their wines at the International Qvevri Wine Competition.